Although stainless steel can be seen as the go-to option for kitchen appliances all across the nation, it’s also an excellent choice for urinals. Since urinals are used in areas that see a lot of traffic, they need to be ready to face whatever comes their way. Furthermore, urinals in public locations need to be resilient and easy to maintain. All too often, ceramic urinals are vandalized and damaged to the point where they cease to work efficiently. Stainless steel urinals can bypass these issues, all while working effortlessly day in, day out. 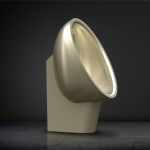 The Stainless AD team provides stainless steel urinal products to North America. Say you need to outfit a restroom in a community center with urinals. Although your first option may be to go with a traditional ceramic urinal, you should consider the stainless steel choice. As a material, stainless steel is easy to maintain. It’s right there in its title, after all. Not only that, stainless steel boasts a singular design which will be able to face wear and tear without worry. In fact, there are waterless stainless steel urinal designs that usurp the need to flush. By removing the handle, you will remove yet another opportunity for vandalization. All while saving water on a daily basis. This is another aspect in which stainless steel urinals beat the rest. Although there may be waterless ceramic urinals, waterless stainless urinals simply look and work better than the former. And when it comes to outfitting a public restroom, every little bit of efficiency and care helps. It may seem inconsequential but outfitting a restroom with well-designed, efficient urinals can save your tons of water in the long run. Stainless steel urinals are beautiful and ergonomic. They bring a certain aura to any restroom, a futuristic ambiance that can only be achieved with well-thought-out design and forethought. 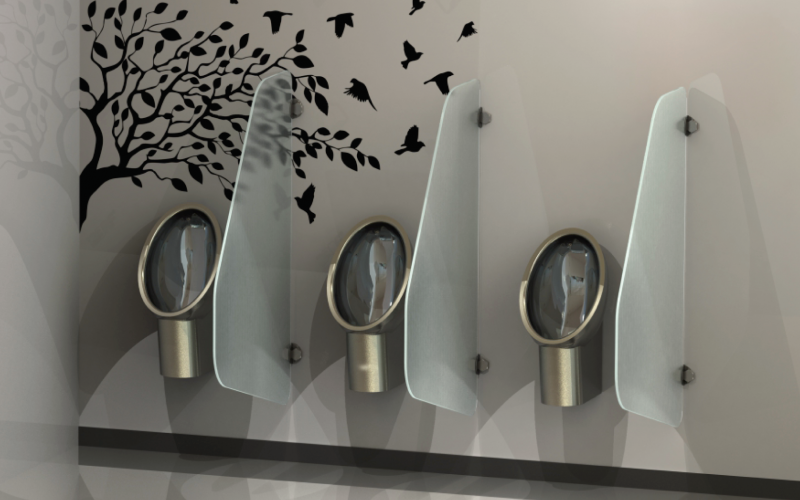 Not only are stainless steel urinals beautiful and efficient, they’re also strong and resilient. Many design options are uniform, meaning their components aren’t visible. This gets rid of any potential scenarios in which vandals may dismantle the urinal’s components. The urinal’s uniform design also works wonderfully. In fact, there are also stainless urinal trough options to provide more usefulness in locations that see a higher amount of traffic. It’s no wonder why all urinal troughs tend to be stainless. 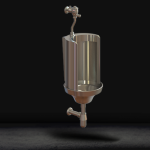 For more information about stainless steel urinal design and benefits, contact Stainless AD! 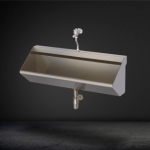 Why Are Stainless Steel Urinal Troughs Better?